Following is the schedule for the Village Writers' Club 2018-2019 Club year. Please Note: DeSoto Club’s kitchen is closed on Mondays. We can order drinks from the bar. Please make sure to patronize them throughout the year for allowing us free use of their facilities. When you do, please leave a note for Scott, the manager, that you are from the Writers’ Club, and appreciate his letting us come on Mondays. VWC Getting Back in the Groove! After a summer hiatus, the Village Writers' Club will kick off the new club year at 12:30 p.m. on August 27 with a read-around at a member's home. Interested members and others are encouraged to let us know of your interest by sending an email to vwc.newsletter@gmail.com. We'll let you know the address where we'll meet shortly before the meeting date. We'll collect the $30 annual dues on that day, as well, for the 2018-2019 club year (cash or check only). L'Audible Art! Monday, May 14, 1:00 p.m. When: Monday, May 14, 1:00 p.m. - 2:30 p.m.
Why: Because it's literature! It's art! It's fun to hear people read and to talk to and hear from writers! Marriage of the Muses! Join us on April 9! Our Monday, April 9, event at Carole Ohlsen’s house promises to be fun, relaxed, and insightful. Come prepared to enjoy relaxed conversation and be ready to view a tremendous collection of art! Pick a piece (or two) that strikes you and sit down to write a story (or a poem) about it! Because this will be in Carole's home, attendance will be limited and interested persons must notify Carole in advance (email to cboh119@suddenlink.net) of their interest in attending. Practice for L'Audible Art is just around the corner! 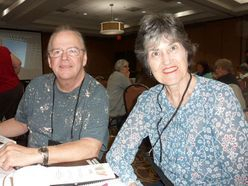 We'll read our work for practice and timing during the April 23 Village Writers' Club meeting at Coronado Center. Then, on May 14, the Village will be there to be entertained by our talented members! Make your plans to attend May 14! It's going to be a blast! Our February 5, Monday at Carole Ohlsen’s house, Marriage of the Muses, was fun, relaxed, and insightful. Carole Ohlsen hosted an afternoon at her home where a group of participants viewed original artwork and began to write (and in some cases finished) a piece inspired by one of the works. Another Marriage of the Muses event on April 9. Like the February 5 event, attendance will be limited and interested persons must notify Carole in advance of their interest in attending. 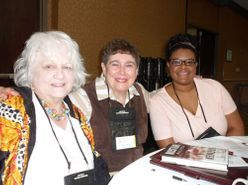 January 22 Village Writers' Club Meeting: Secrets of Writing Powerful Dialogue! We had a a good turnout on Monday, January 22 for our craft development conversation and exercise on the Secrets of Writing Powerful Dialogue. Thanks to all who attended the workshop. Wasn't the size just about perfect? We were able to squeeze around two tables (it was tight, but we like closeness, don't we?) and have face-to-face conversations about writing dialogue. We look forward to seeing our members and to welcoming newcomers, as well. There is no charge for members; we charge nonmembers $5 for each meeting. Thanks to Millie and Carole, We had a Joyous and Entertaining Holiday Party! We owe a debt of gratitude to Millie Lancaster, who took charge of organizing an absolutely delightful Village Writers' Club Holiday Party on Saturday, December 2! She arranged for Chef Johnna's at DeSoto Club in Hot Springs Village to have a private dining room for our meal. Millie decorated the tables with books and clever information sheets and names tags, all themed around writing. She even let us take our choice of books home with us! (She bought a LOT of books at a recent book sale.) 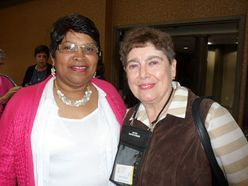 Carole Ohlsen served as emcee, introducing the winners of the member and community non-member writing contests. The winners (see below) of the contests read the winning entries. The contests were judged by Dr. Craig D. Albin, a mentor at the Hemingway center as well as a professor at the University of Missouri West Plains. If you missed this excellent presentation, you missed an opportunity to learn ways to deepen your characters' personas in your writing. But don't worry, come to a future Village Writers' Club event and you'll reap rewards! Bring your lunch and join us at 12:30 for a Brown-Bag Social and Gathering,. followed by a craft-development workshop on Creating Strong Characters. Seriously, join us early and bring your lunch. After lunch, Millie Lancaster will lead us in a thirty-minute exercise designed to add depth and complexity to our characters. This craft-development exercise is a follow-on to the program led by John Swinburn last month. During this exercise, which Millie learned at a conference conducted by an editor of a major New York publishing house, you will practice techniques that will enable your characters to become richer and more alive, giving your readers more of what they want! After the exercise, we'll be free to meet in our PICs (personal interest collaboratives). 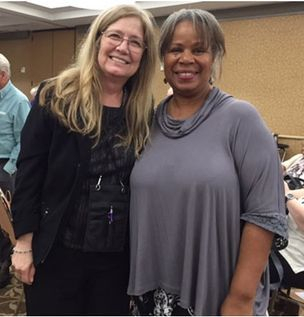 Millie Gore Lancaster is a professor emeritus, a musician, a writer, and an utterly intriguing person whose interest in writing and helping writers write is legendary. You'll not be disappointed by this clever and engaging program! Just like last year, Suzanne presented a marvelous perspective on ways to create absolutely creative Christmas letters. For those of you who attended, can we expect to see some really outstanding stuff from you very soon! Back by popular demand! Last year's program on writing creative Christmas letters was a smashing success, so we're bringing it back. PREPARE TO HAVE FUN. 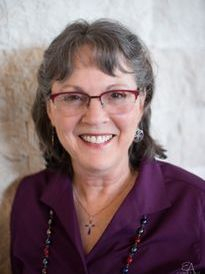 Suzanne Bratcher will facilitate a mini-workshop on Ten Tips for Writing Creative Christmas Letters. Participants will brainstorm ways to break out of the traditional Christmas-letter mold. We’ll consider options for content beyond family and travel news, and discuss structures like haiku and photo essay. This is an interactive workshop. Participants should come prepared to write with a laptop, tablet, legal pad or scratch paper. Attendees can expect to leave the meeting with a good start on this year’s Christmas letter. Members and non-members are welcome. 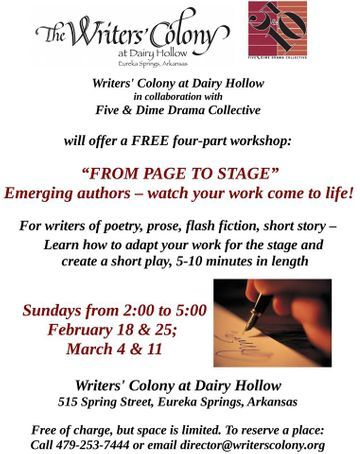 This is a public service the Village Writers' Club is offering to the entire community, so writing expertise is not required. Bring your friends who aren't writers, but who want to create exciting, out-of-the-ordinary, Christmas letters! 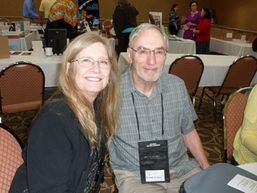 Check out Suzanne's website at www.suzannebratcher.com and sign up for her newsletter and blog. Several Village Writers' Club members and guests turned out for Madelyn (Maddie) Young's program on September 25 I've Got a Secret). Maddie and her husband, Robin, are moving to Tennessee after fourteen years in the Village. Maddie has played a pivotal role in moving the Village Writers' Club forward, taking on virtually all officer and committee chair slots during her years in the Club. 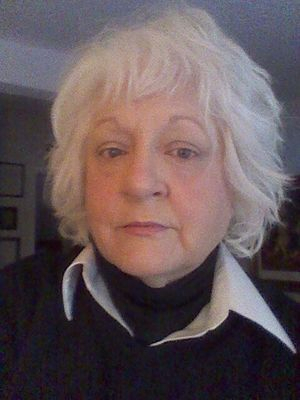 She has been the guiding force behind the Village Writers' Club Critique Group for years. At the conclusion of the September 26 meeting, the Club toasted Maddie's service to the club with a big "farewell" cake. Below are photos from her final VWC meeting. "Maddie, We'll miss you. V.W.C." No truer words have been said. Maddie has contributed so much to the Village Writers' Club over the years that her absence will leave a hole that's impossible to fill. But, relying on the optimism that she works so hard to instill in all the people she meets, there's no doubt that the Village Writers' Club will continue to flourish as a force to encourage and release creativity, helping release the writer in each of us. Millie Lancaster and her program team have crafted an extraordinary set of programs for the Village Writers' Club 2017-2018 program year. Put these dates on your calendars so you won't miss out on a single event! November 13, Monday, 10-4- HSV Writers Retreat at the magnificent Williams House Inn (420 Quapaw) in Hot Springs. $25 includes lunch. A maximum of twelve writers can be accommodated. First come, first served by in-person delivery to Millie Lancaster of a $25 check payable to Williams House Inn. Registration will open October 1. Please hand-deliver to Millie Lancaster, who will be happy to come to your house to pick it up (contact her by email at Camille.lancaster.books@gmail.com or send a text to 501-209-2155) . We will need to carpool due to limited parking. See website for details. November 27, Monday, 1-3 (Coronado Center, 150 Ponderosa Way, Room 6)- Christmas Newsletter Mini-Workshop for the HSV Community- Suzanne Bratcher will present her popular workshop filled with innovative ways to make our Christmas newsletters more entertaining. 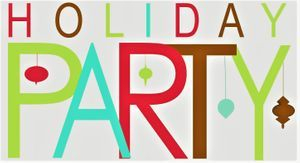 December 2, SATURDAY, 6:00 pm (Desoto Club Banquet Room)- Holiday Party- After dinner, winners of our community writing contest and our fall club contest will read their winning entries. Reservations required. January 22, Monday, 12:30-3 (Coronado Center, 150 Ponderosa Way, Room 6) Brown-Bag Social and Gathering- Craft Development: Secrets of Writing Powerful Dialogue. After lunch, John Swinburn will lead us in a thirty-minute exercise designed to improve our skills at writing dialogue. Then we will meet in our PICS. April 9, Monday, 1-3 (Carole Ohlsen’s house) Marriage of the Muses, Too- Carole Ohlsen hosts an afternoon at her home where a limited number of participants can view original artwork and write a piece inspired by one of the works. Reservations required by emailing Carole at cboh119@suddenlink.net or by calling 501-922-1587. Address will be provided to guests. April 23, Monday, 12:30-3 (Coronado Center, 150 Ponderosa Way, Room 106) Participants in L’Audible Arts will rehearse. Hard copy of brief bio (maximum 50 words) and of five-minute L-Audible Art presentation must be submitted to Event Chair, Marlene Kloack, at 1:00 before rehearsal. June 25, Monday, 12:30-3 Brown Bag Social and Gathering– After socializing, club members will review activities of the year and discuss what they would like to see retained, omitted, or changed for next year. 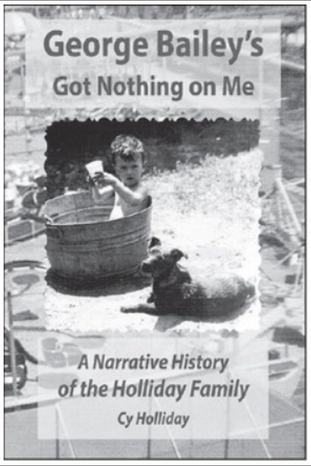 Cy Holliday’s new book, George Bailey’s Got Nothing On Me, is a narrative history about the Holliday family and Cy’s growing up in the carnival life. Home Plate Café is hosting a book signing for Holliday on Saturday, September 9 from 9 a.m.to noon. George Bailey’s Got Nothing on Me covers seven generations of the Holliday family and the unique, far from perfect and certainly not “politically correct” surroundings of carnival life. The family memoir is interesting and poignant. 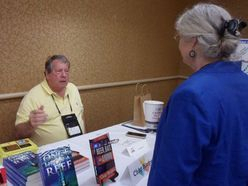 Sales for the book are moving along even better than anticipated, perhaps due in part to Holliday’s speaking engagement with the Next Chapter Book Club. George Bailey’s Got Nothing On Me can be purchased from Holliday for $10 and is available on Kindle, Amazon, Nook and at Barnes and Noble. The article above was adapted from an article written by Suzanne Sweeten that appeared in the September 5, 2017 issue of the Hot Springs Village Voice. 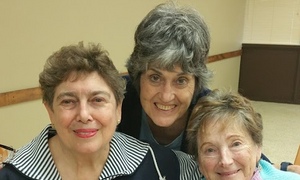 The Village Writers' Club and Village Genealogy Club have collaborated to organize a one-day workshop on researching and writing family histories. Mark your calendar for March 24, 2018! 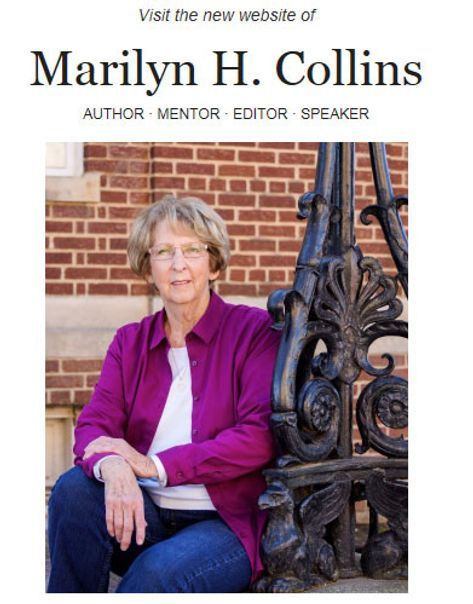 Plan to attend this riveting program, delivered by well-known author and genealogy researcher Marilyn Collins. After a summer hiatus, we'll be back with our first Village Writers' Club meeting of the new Club Year. Make your plans to join us from 1:00 p.m. to 3:00 p.m. on Monday, September 25 at Coronado Community Center, 150 Ponderosa Way, Hot Springs Village, AR as we kick off the new year with some very exciting developments! The 2017 WCCW Conference in Searcy, Arkansas will be held on Saturday, Sept. 2, and this is the first time that VWC member Madelyn Young will sponsor a contest of her own, the Southern Story Award. 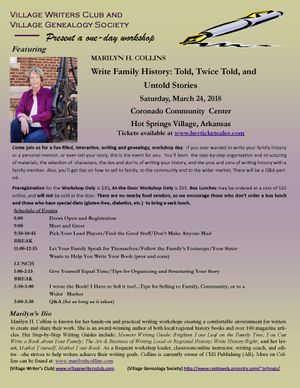 To support and encourage Arkansas writers, she will be offering a full critique to anyone who submits an entry to her contest and contacts her by email following the conference. However, Madelyn requests that VWC members NOT enter her contest. Although an author's name cannot appear anywhere on his story, Madelyn might be familiar with a club member's style of writing, and she wants to judge all her entries fairly, without bias. Madelyn will be happy to give her fellow club members feedback on their potential entries to other contests, though. You may contact her at rdymfy@suddenlnk.net. 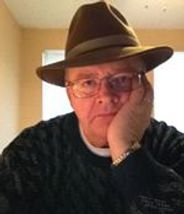 Del Garrett with Raven's Inn Press is sponsoring fiction / poetry writing contest. There are three chances to win in each category. Prizes are 1st Place, $50; 2nd Place, $35; and 3rd Place, $15. Contest Rules: You may enter up to three submissions in each separate contest. Each submission will be considered for all prizes. Entry fees are $5 for the first entry, $3 for each additional entry. Poetry—one page only, single or double spaced, limit three entries. Fiction—limit three entries, maximum three pages each entry. Use standard format: 12-point size font, double spaced, on 8 ½ X 11-inch white bond paper. Do Not list your identification on the typed pages. Include a cover sheet with your name, address, e-mail, title of your entry and first line of story or poem. Place this cover letter and your entry fee in a sealed envelope stapled to your submission. Staple all fiction submissions separately (do not staple poetry pages). Restrictions: No erotica and no political or racial comments. 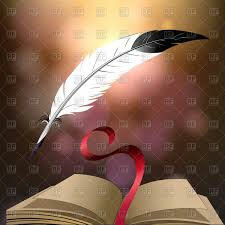 Do not mix prose and poetry—keep each contest separate. No e-mail, paper submissions only. Violations may result in disqualification. No refunds. Mail all submissions to: Del Garrett, 806 Rhoden Rd, Judsonia, AR 72081. Make checks or money orders payable to: B. Odell Garrett. Do Not Send Cash. All submissions will be shredded 30 days after the deadline. All rights are automatically returned to the author effective January 1st, 2018. We do not publish your work. Contest Deadline is December 31st, 2017. Winners will be announced and prizes mailed on March 1st, 2018. For more information about me, please visit my website: www.authorsden.com/delgarrett or go to Amazon.com and enter my name in the search window. 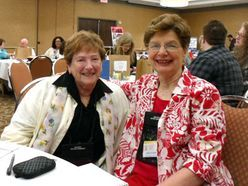 Mary Lou Moran and Janis Kearney. Mary Lou took first place in the WOW! 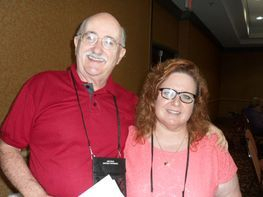 Press Award contest at the Arkansas Writers’ Conference on June 3, 2017 for her entry titled The Transformation. Janis was chair of the contest. The subject was Life Changes, a Personal Reflection – My How Things Have Changed. John Swinburn won 3rd place in the WOW! Press Award contest for Love Without Words and 1st Honorable Mention in the Moral Dilemma Award contest for his entry titled Bogata. Madelyn Young won 3rd Honorable Mention in the Erdel Family Memorial Award contest for her entry titled A Sad and Crazy Place. She also 3rd Honorable Mention in the Moral Dilemma contest for her entry titled Heroes. Mary Lou Moran won 1st place in the Carl J. Iannacone Memorial Award contest for her entry titled Family DNA. She won 1st place in the WOW! Press Award contest for her entry titled The Transformation and 2nd place in the Del Garrett’s Gimme the Creeps contest for her entry titled Highway to Nowhere. She also won a 1st honorable mention in the Lucille Longstreth Memorial Award contest for her entry titled The Eternal Mystery. 2nd place, $30, to Anne Winchester from St. Francis, AR: Do You Believe? 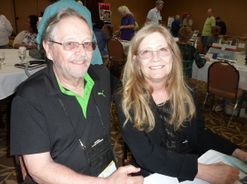 Tom Howard and Sandra Boutwell-Falcone two winning writers of the VWC writing contest. We were sorry that none of our other winners attended the conference. Paperback and Kindle eBook editions available at Amazon.com. Contact Cy for an autographed edition. Webmaster's Note: The "One Small Southern Municipality" that Mr. Beard's title refers to is Hot Springs, Arkansas! with questions answered, experienced editing, and marketing advice for the final product.